The Virgin Islands tree boa is a subspecies of the Mona boa (Epicrates monensis) and is only found in Puerto Rico and the Virgin Islands. It is a small, non-venomous snake which grows to about 3.3 feet in length. 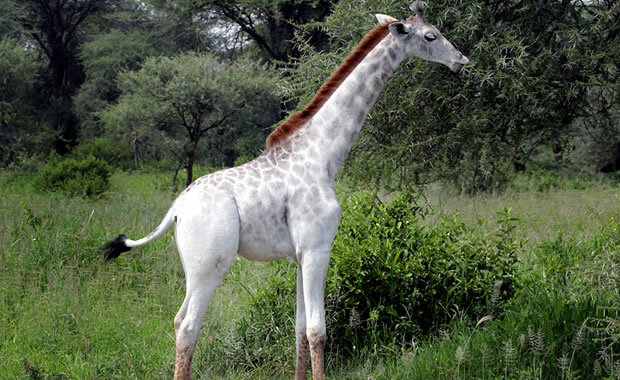 Adults are brown in color with brown markings running along their body. This species prefers subtropical dry forests for its habit. It hunts only at night, and eats mainly lizards found asleep in the trees. During the day, it rests in termite nests or under rocks and debris. The nocturnal habits of this species make it very inconspicuous and hard to locate. Mona boas are ovoviviparous, meaning the females incubate and hatch their eggs inside of their bodies, giving birth to live snakes. The female may produce between 8 to 20 young. Threats to this species include habitat loss due to human development and the introduction of exotic predators such as rats and cats. A recovery plan has been developed by the US FWS, and conservation efforts include captive breeding programs and reintroduction of successfully captive-bred boas into the wild. Glenn, C. R. 2006. 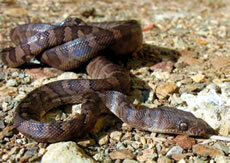 "Earth's Endangered Creatures - Virgin Islands Tree Boa Facts" (Online). Accessed 4/18/2019 at http://earthsendangered.com/profile.asp?sp=557&ID=9. Need more Virgin Islands Tree Boa facts?